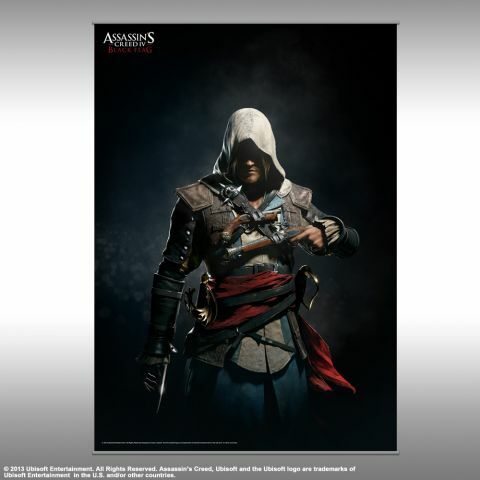 These gorgeous wall scrolls feature the hero of the upcoming sequel to the hit video game series, ASSASSIN'S CREED. It's Edward Kenway, the pirate assassin of ASSASSIN'S CREED IV: BLACK FLAG. Capturing moments from his adventure on the high seas of the Caribbean, these portraits of the new hero Edward are brought to life in beautiful detail - a must have for any Assassin's Creed fan!